What a great way to celebrate the love of pi math. Perfect mathematician gift, engineer gift, algebra teacher gift or math teacher gift. Having a Pi wedding? Perfect wedding cake topper or table decoration. 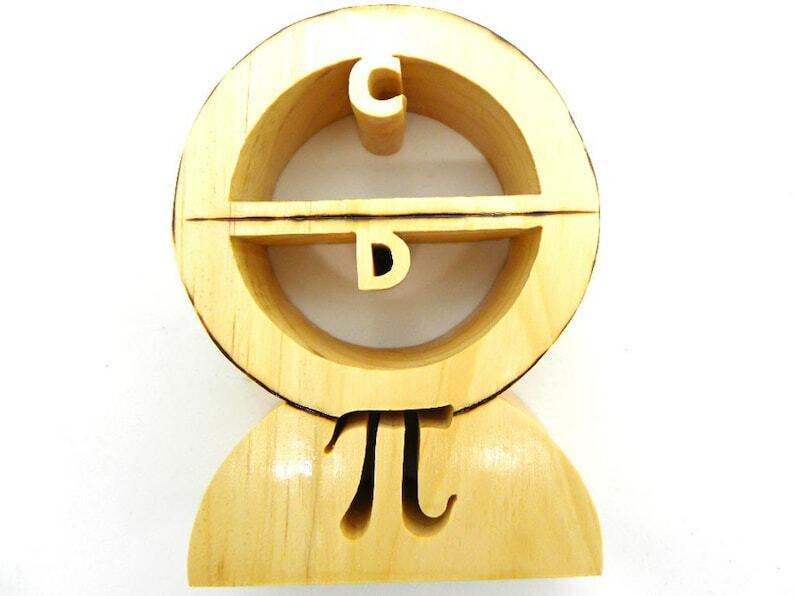 This pi depicts the definition of pi – circumference over diameter. Great math gift to sit on top of a fireplace, counter/table top or any place you like to display your unique pieces. This woodcraft is one of a kind and ready to ship - have it in your hands in less than a week. Pi day is March 15th.